Seen Respage’s New Facebook Analytics? Click on 'Facebook Analytics' in your Respage dashboard. Cool, huh? 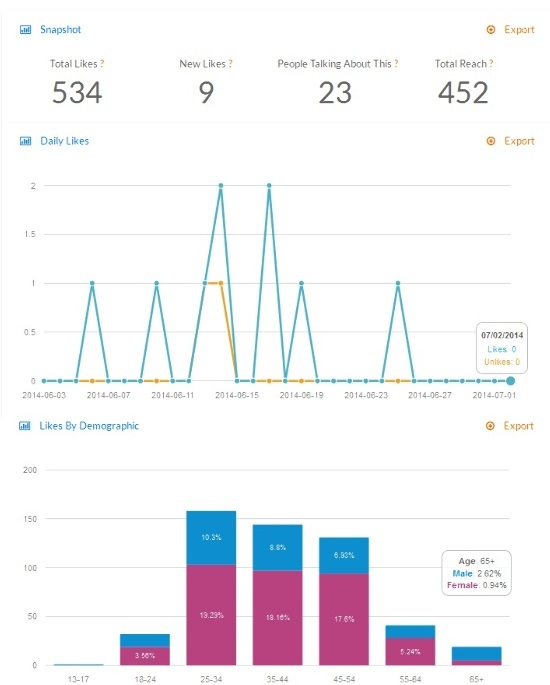 Our analytics screen looks and works better. We've revamped it to mirror Facebook's own analytics screen, calculating all your insights at the top of the page. Top posts are now incorporated on the main screen so you can review your Facebook report all in one location. This includes follower demographics, engagement levels, and what posts are working best. Exporting results is easy, and as always you can access reporting for every property you manage through Respage Dashboard. All that and an attractive new easy-to-read design. Got questions? Ask us.